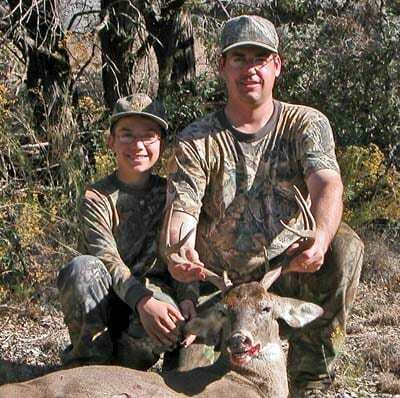 SALEM, Ore.—Nearly 34,000 hunters who failed to report results of their 2012 deer or elk tags by the deadline (Jan. 31, 2013 for most hunts) will be required to pay a $25 penalty fee before they can purchase a 2014 hunting license. Year 2014 licenses go on sale Dec. 1, 2013. Hunters who failed to report will be prompted to pay the fee when they try to purchase a 2014 license, which can be done online, at a license sales agent, or at an ODFW office that sells licenses. Hunters must have a 2014 hunting license to legally hunt most wildlife from Jan. 1-Dec. 31, 2014. About 29,000 deer and 17,000 elk tags went unreported by deadlines, out of 298,000 deer and elk tags sold. Some hunters purchase both tags, so the estimated number of hunters who will need to pay the penalty to purchase a 2014 license is 33,600. The penalty fee is charged on a hunting license and hunters only need to pay it once, regardless of how many tags went unreported. Hunters needed to report results for each and every tag purchased, even if they didn’t go hunting or weren’t successful. Hunters who can’t remember if they reported on time may visit the My Hunter Information webpage or call 1-866-947-ODFW (6339) to check. They need their Hunter/Angler ID# which is printed on all licenses and tags and stays the same from year to year. The financial penalty was put in place by the Fish and Wildlife Commission in October 2012 because although reporting has been “mandatory” since 2007, just 41 percent of tags were reported by deadlines in 2011. To let hunters know about the requirement, ODFW has printed it on the cover of the annual Big Game Regulations and on all licenses and tags for several years. A postcard reminder went out in early January 2013 to any hunter who hadn’t reported 2012 tags yet. The reporting requirement is also mentioned in ODFW’s weekly recreation report, news releases, advertising in sportsman magazines, and elsewhere. Finally, as an incentive to report on time, ODFW has offered the chance to win a special big game tag to three randomly drawn hunters who report on time each year. “We really didn’t want to start penalizing hunters for not reporting, but despite heavy promotion of the requirement and an incentive program, our reporting rate without a penalty was too low to use the data,” said Tom Thornton, ODFW Game Program Manager. After a penalty was announced in October 2012, reporting rates went from around 40 percent or less for deer and elk tags from 2007-2011 to 80-85 percent for 2012 tags. This higher rate brought enough confidence in the data for ODFW to actually use it to help set seasons and in annual hunting statistics, which now represent a far larger sampling of hunters than old survey methods and include antler point information about animals harvested. While hunters are also required to report results for pronghorn, cougar, bear and turkey tags purchased, penalty fees only take effect for unreported deer and elk tags. These results provide the most critical information because of the high number and demand for deer and elk tags. Most big game hunters have a deer and/or elk tag and ODFW expects they will report on other species the same time they report for deer and elk. If reporting rates for other species are too low in the future, the penalty could be extended to those species. The deadline to report is always Jan. 31 of the following year for all tags with seasons that end by Dec. 31 or April 15 of the following year for the few hunts that extend into the next year. To not face a penalty on their 2015 license, hunters with 2013 deer and elk tags need to report by either Jan. 31, 2014 (for hunts that end by Dec. 31, 2013) or April 15, 2014 (for hunts ending Jan. 1-March 31, 2014). Hunters can report online at reportmyhunt.com (also found thru ODFW’s Hunting Page) or call 1-866-947-ODFW (6339) to speak with a customer service representative who can take their information over the phone. Remember to report for each and every tag purchased, even if you didn’t go hunting or were not successful.